Super-snobby eleven-year-old Clara Frankofile has all she could possibly want. Her parents are rich, she lives in an apartment with its own roller coaster, and anyone who is anyone in New York City is terrified of her. 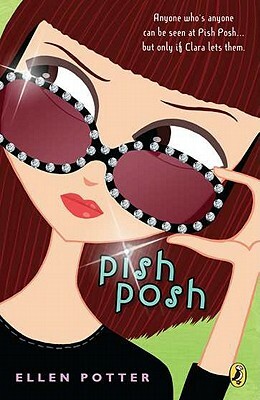 Each night at her parents' fashionable restaurant, Pish Posh, Clara watches the celebrity diners, deciding who is important enough to stay and who must be banished. But Clara's world turns upside down when she discovers a mystery happening right under her nose. With the help of her new friend - a brilliant twelve-year-old jewel thief - Clara begins to look at life differently, and she may just be able to solve this most intriguing case.